Speeches are often at the mercy of their interpreters and biographers. They can incite and encourage just as they can deflate and demoralise. 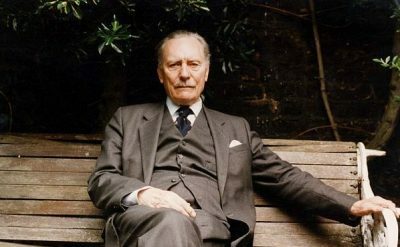 On April 20, 1968, Enoch Powell, a political figure who still stirs the blood of the milk-and-honey protectors of the strife free inclusive society, issued a dire warning. In his mistermed “Rivers of Blood” speech, Powell claimed before Conservative party members in Birmingham that Britain was “busily engaged in heaping up its own funeral pyre”, with people becoming “strangers in their own country”. He spoke of “wives unable to obtain hospital beds in childbirth, their children unable to obtain school places, their homes and neighbourhoods changed beyond all recognition, their plans and prospects for the future defeated”. Powell, then shadow minister, was dismissed by an alarmed Edward Heath. It was a point of severe disagreement with various East End dockers and meat porters from Smithfield, who protested in some numbers. He was duly, as one biographer notes, drowned in 100,000 letters and some 700 telegrams. Despite his exit from the front bench, Powell haunted conservative immigration policy sufficiently to influence Heath when in government to pass the 1971 Immigration Act. Other errors, omissions, and misunderstandings populate readings of Powell. Far from being illiberal in any jackboot sense, he was citing immigration as a possible cause of strife that could prove inimical to democracy. This was liberalism turned inside out, ugly yet comprehensible on a certain level. Having worked for military intelligence in India between 1943 and 1946, he feared the possible introduction into British life of the very communalism that was sundering a country he admired, albeit through the worn lenses of a dusty imperialism. But as the world recovered from the trauma of a global conflict, Powell persisted to see Britain’s colonies as examples of liberal paternalism and possible future danger. Historians have attempted to chew what they can about his motivations in uttering those words at Birmingham. Racialism in some way, certainly, though a picture somewhat more complex than that. Did Powell do so on the belief that Britain had to sever itself from its own imperial offspring? The empire, having set, had been replaced by a Commonwealth of nations he would rather have ignored. Historical nuance can be a drag, but Powell continues to remain the kryptonite of political discussion. Even after all these years it was deemed controversial to even broadcast the Birmingham speech in full, as if taking a few snippets of it (read, hacking off most of it) would somehow do service to balanced meaning. Anyone who challenges the established notion that EP was an off-his-head racist is similarly shouted down. Twitter offers very view avenues for explanation but is delightful for vitriol and reflex stomping. Powell was hardly going to get much of a hearing at the hands of Leanne Wood in Wales, who had already considered him a sharpened spear to be used by UKIP. It is precisely the snippets, the cuts and incisions made to speech – and in some cases total prohibition – that make subsequent interpretations flawed, even dangerous. Rarely are incitements to hatreds the products of lengthy observations about a state of affairs. More often than not, they stem from one portion, a slice, a section. Political figures have tended to avoid Powell like the pox but Brexit Britain is, to a large extent, a continuation of one strand of dominant resentment alluded to fifty years ago. The concept of the inclusive integrated society battles that of those beyond accommodation. Anxieties remain.